Last edited by cdrod; May 20th, 2018 at 04:28 AM. Thanks for the quick info. Is it possible to buy new crimp terminals to replace the round connectors? Mine look pretty bad, might be a good idea to replace them and solder them for better connections. As to answer your question the Grey wire feeds the lamps and the Brown wire fed the Gen Warning Light but goes back to the ignition switch on the ACC side. Hope this helps Wiring can be a pain at times. Thanks for filling in the remaining pin info. Just wanted to be sure before I do the switch over. Great information in this thread, thank you for sharing it. 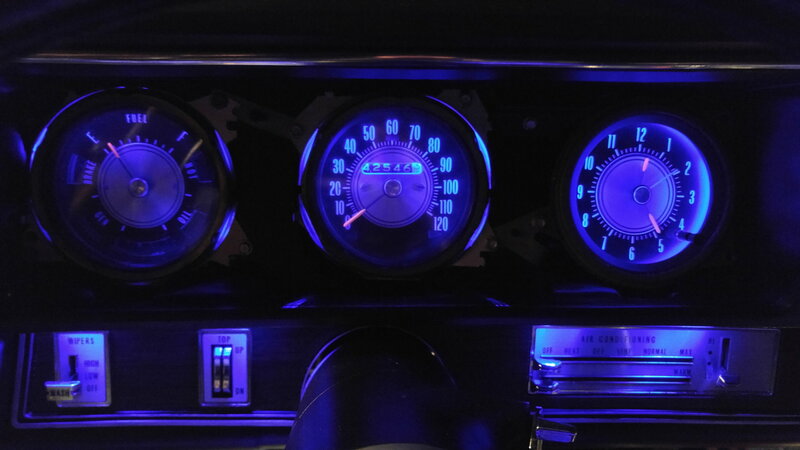 Can anyone recommend a company to purchase a new Dash Wiring set up for my 72 Cutlass with Rally Pack Gauges / Auto. Transmission? 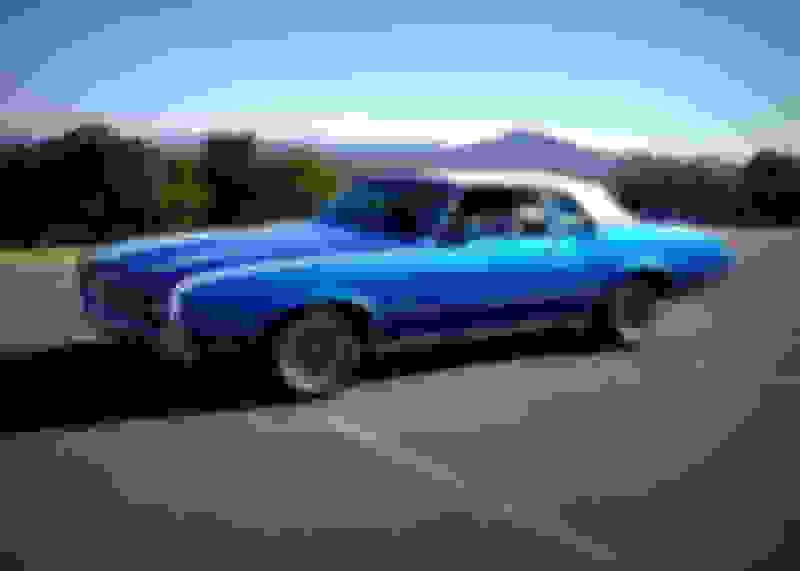 I was also looking for something that will handle a newer style radio system. i had a reg 72 S years back. the fuel gauge had a dummy light for the GEN and the HEAT. Now I have purchased a rebuilt 72 442.
b) the 3 pod unit (oil pressure\ engine temp\battery) that went on the bottom the the dash between the steering wheel & radio? It depends on what was checked off on the options sheet when ordered, as to if it had the Rally Pack or "idiot" lights. Even on the W30's it was an option and not standard. The three pod unit is an aftermarket add on and not factory original. One thing to remember when doing a conversion from idiot lights to gauges is to disconnect the TEMP check circuit. If it is not disconnected, every time you start your car, the temp gauge will peg to the max side, and then drop off and act as it should. You don't want your temp needle to do that - it could work loose or just stop working after awhile. With idiot lights, when you start the car, the TEMP light comes when you put hour ignition key in the RUN position, and then go off after the car starts. When converting to gauges without disconnecting that TEMP check circuit, it's that same check circuit action that pins the temp gauge needle. The temp check circuit can be disconnected by simply backing out the green wire from your ignition harness, down on the steering column where the ignition harness connects into the under-dash harness, and then taping it off. Pat, Google M&H Electric Fabrications, Inc. They make all type's of Factory correct harness, and they go by GM Spec's, Use factory correct colors for the wires and correct connectors! I have used there services, and Highly Recommend them! There's a guy in Tampa...not cheap but OEM and rebuilt correct. 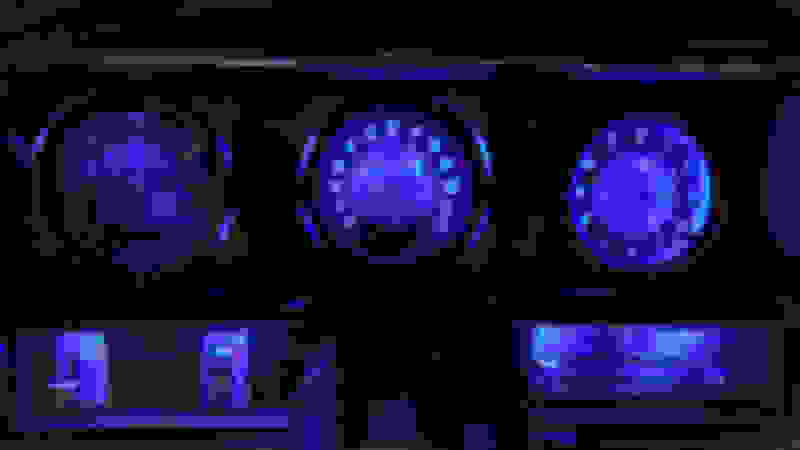 i need a 1980 rally pack wiring diagram, of course the needles on some of my gauges are broken also. still broken but i did find a plug un from a 1980 cutlass i just had to switch it over,only broke one wire and it is the white wire. i need to find out what wire goes to what and i need to replace the circut board it is missing a few traces. What are yall's thoughts on oem ralley pac vs. reproduction ralley pacs? Nice job. Where did you get the LED bulbs? Do you have the part numbers for the LED bulbs? Thanks! I bought the led lights off eBay. Do a search there are tons of listings. For the radio I just modified a 194 led bulb and hardwired it to 12V switched on inside the radio. These LEDS will last about 10000 hours and they only draw maybe 5 milliamps of current compared to .5A for incandescents. I used these ones but you might be able to get em cheaper. Here are the pictures I promised. I took some with the illumination off and some illuminated. I think they look pretty good. These are the "alloy face" versions. Good instruction sheet, good support from Dakota Digital and your post made it pretty easy! Asd you can see, the install was easier than uploading the photos! They were right-side-up when I started! don't know if you are still in this forum but about to do the Gauge switch in my 72 Cutlass Supreme and wondered how it all worked out. Also wanted to compliment you on a beautiful car. I took a double take when i saw your avatar. Here is my car and you'll understand why ! My 72 cutlass supreme after 7 years restoration. I was just going through this post when I saw you comment. I'm about to do the same dash set up with the rally temp,oil,gas gauge and have the blue leds with mine. Nice to see what my dash will look like sometime during this show season. Here are my gauges right now. The installation was pretty easy from a wiring/install perspective. Like all projects getting the car in the air, squirming around to get in various positions took some work! I went slow, followed the directions very closely and it lit up first time. The only issue I ran into was with the speedometer. The speedo would work fine for maybe 10-20 minutes, then totally die. I suspected the terminal plug on the sensor that screws into the TH-400. I didn't think it was seating tightly enough. I jury-rigged several "solutions", none of which worked. Finally I contacted Dakota Digital. The tech rep thought it might be heat soak from the transmission to the sensor. Dakota sells an extension cable that attaches to the transmission, then the sensor attaches to the other end of the cable. I bought that, installed it, zip tied the assembly as far from any heat source as I could, and that fixed it. It continues to work fine, If you have an automatic, I'd highly recommend getting that cable and using it from the git-go. Doesn't harm anything, seems like it cost around $25. I used $50 worth of cuss words trying to figure the issue out! Dakota was alway helpful and prompt with responses. I like the look of the gauges. I was happy enough I bought a set for my '56 Chevy too.